Sens. John Thune (R., S.D. ), chairman of the Senate Commerce, Science, and Transportation Committee, and Brian Schatz (D., Hawaii), the ranking member of the communications, technology, innovation, and the Internet subcommittee, introduced broad legislation today designed to streamline the deployment of small cells. 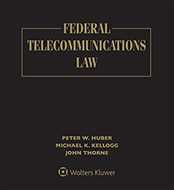 The Streamlining The Rapid Evolution And Modernization of Leading-edge Infrastructure Necessary to Enhance Small Cell Deployment Act (or STREAMLINE Small Cell Deployment Act) (S 3157) would impose deadlines for state and local action on small cell applications and include a “deemed granted” remedy sought by the wireless industry if deadlines were missed. It also would impose restrictions on the fees that states and localities can charge for processing applications or using the rights of way. A number of the bill’s actions are under consideration at the FCC, and 20 states have passed laws to facilitate the deployment of small cells. Regarding flexibility for small localities, they would get 90 days to act on collocations if fewer than 50 small cell siting requests were filed in the previous 30 days and 120 days if 50 or more requests were filed. For non-collocations, the deadlines for action would be 120 days if fewer than 50 requests were filed and 150 days if 50 or more requests were filed. The bill would stipulate that judicial review of the failure to act by states or localities or of their decisions would be heard by courts in an expedited fashion.